Every once in a while I post on here people that keep me inspired. Today it was a stranger and what this person did for me was tremendous. People that know me, know that I make my money doing caricatures....Well I was drawing today at the zoo and I was asked to draw someones friend. 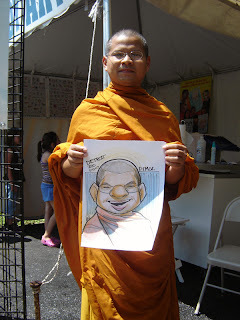 Out of nowhere a Tibetan monk sits in my caricature chair with a huge smile. His friend translated for me that once of the main things he wanted from his trip from America was a caricature because he heard of them, but they weren't offered to him in any places he's been before. To make a long story short I did a drawing and showed it to him. He laughed and smiled so huge that I was this close to giving it to him for free. Even though I couldn't understand what he was saying, I felt like I truly was giving this guy something significant through my art. His friend said that he can't wait to get back to Tibet so he can put it in his Temple. 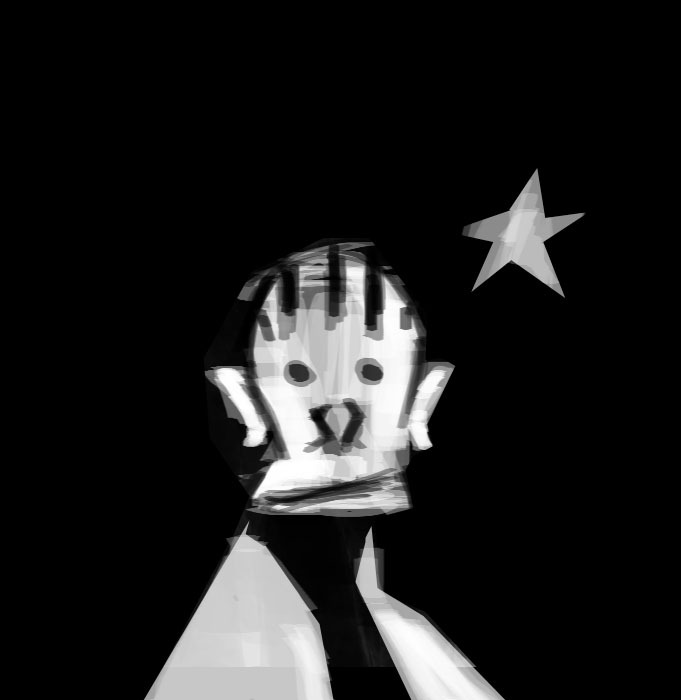 In all honesty, this piece of art that I did in 5 mins is one of my most proudest pieces. That's a very nice story, Francis. I'm glad you're having a nice summer. Keep up the cool work. You know what I take it back. All of your stuff has mega-personality. hahaha stay fresh man. Dude. On your resume you can say, "Works exhibited: Tibetian Temple." Good job man. good to see your summer is treating you well. Nice stuff. Oh by the way that's Thai Monk not Tibetan. (Known by the robes).